Why does the Reverse-Flash lose his powers? In season one, fans were shocked to discover that the mysterious Dr. Harrison Wells was actually Eobard Thawne, the Reverse-Flash. Originally from the 22nd century, Eobard uses his super-speed to travel back in time and change the past by killing Barry Allen's mother. But when he loses his own speed powers, Eobard realizes he needs Barry's connection to the Speed Force to return to the future, so he orchestrates the accident that gives Barry superpowers and trains him to become the Flash. 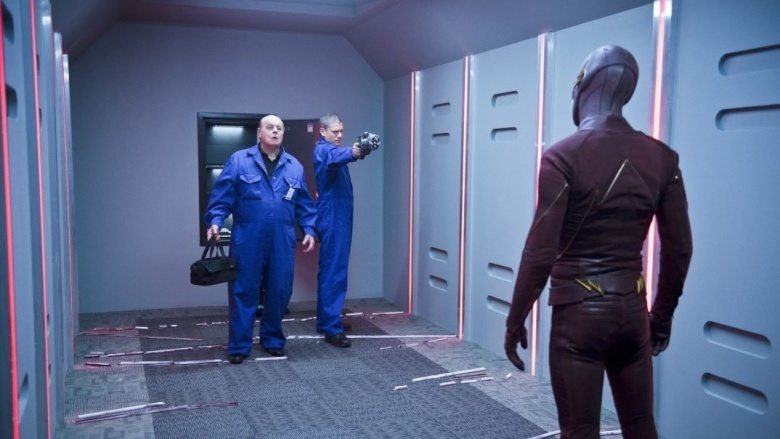 Unfortunately, the show never really explains why the Reverse-Flash loses his speed and gets stuck in the past. His computer tells him that traveling back in time "caused a massive drain" on his powers, which just raises more questions. Do speedsters get a limited supply of the Speed Force? Will Barry run out one day? In season two we find out that Eobard originally gave himself his powers by recreating the accident that turned Barry into the Flash. Couldn't he just do that again? Why does he have to give those powers to his archenemy instead? 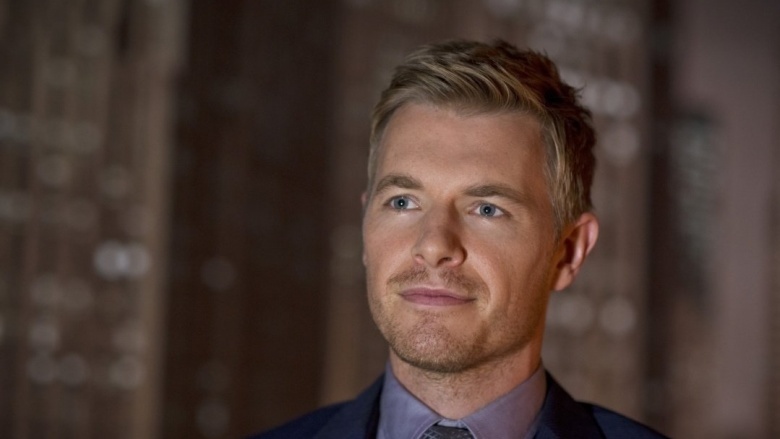 While stuck in the past, Eobard Thawne meets his distant relative, hunky police detective Eddie Thawne. Although he holds his ancestor in contempt, Eobard has to keep him safe, since he'll never be born if Eddie dies without having children. So it doesn't make sense that Eobard lets Eddie move to Central City and become a key member of Team Flash, putting him in terrible danger on a weekly basis. (He almost gets sucked into a tornado in the very first episode.) Even the Clock King, a completely powerless old guy, shoots him in the stomach and leaves him to die. In disguise as Harrison Wells, Eobard is a wealthy and influential scientist with access to future technology. He should be able to hook Eddie up with a high-paying security job somewhere safe—or do anything other than let him move to the town where Eobard is creating a bunch of homicidal supervillains. 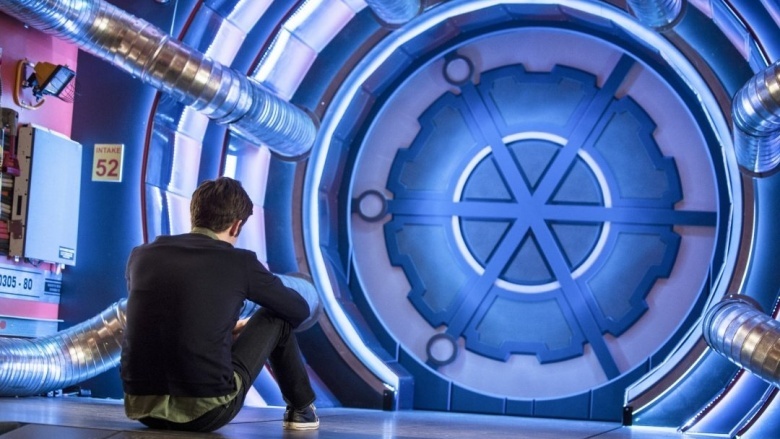 At the end of season one, Barry leaps through a wormhole and punches a time machine to pieces, ensuring that the villainous Eobard can't return to the future. This turns out to be a mistake, since Eobard immediately starts beating him to death. The day is saved by Eddie, who shoots himself, ensuring that his descendant Eobard will never be born. But why did Eddie have to commit suicide to do that? Couldn't he just not have children? In fact, why didn't he schedule a vasectomy the minute he learned his descendant was going to become a face-stealing time-villain? That would remove Eobard from the timeline just as affectively as a bullet to the heart. Nobody wants children that badly. Ultimately, Eddie made the brave choice to die as he lived: overdramatic and unnecessary. One of Barry's closest allies in the series is tech genius Cisco Ramon. As a last resort in case Barry ever turns evil, Cisco designs the perfect weapon to use against a speedster: a gun that fires a cold beam reaching absolute zero. 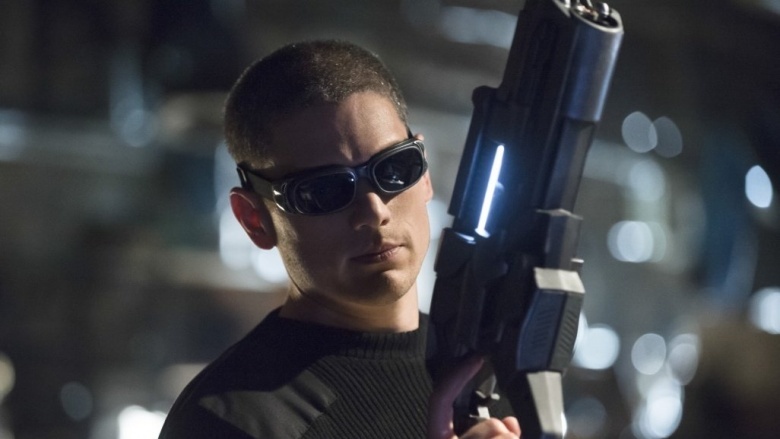 Unfortunately, the gun is stolen and sold to bank robber Len Snart, who becomes the villain Captain Cold. Inexplicably, Cisco never builds a replacement cold gun for Team Flash. We know he's capable of building another one, as Captain Cold eventually kidnaps him and forces him to do exactly that. But when the Reverse-Flash starts causing mayhem, nobody suggests using the weapon specifically designed to stop speedsters. They even know that the Reverse-Flash is afraid of the gun, since they all watched his alter-ego Harrison Wells freak out when he learned Cisco built it in the first place. Captain Cold's sister is Lisa Snart, better known as the Golden Glider. 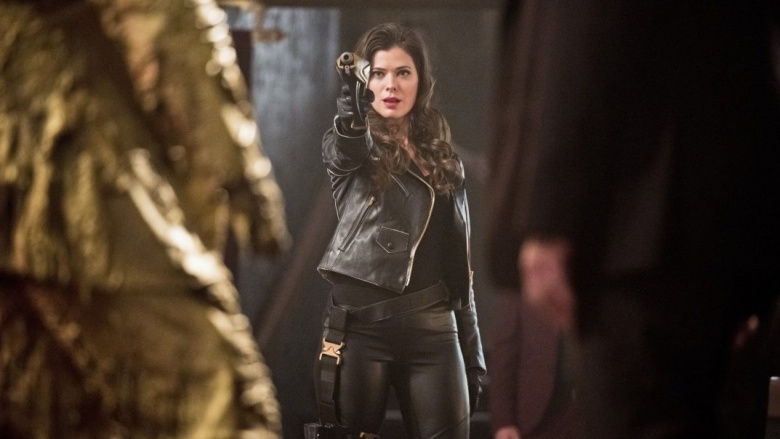 In the comic books, she's an ice-skating villain, but since that's extremely lame, the TV show decided to bring her in line with her brother by giving her a gold gun to match his cold gun. Unfortunately, this makes no sense. Captain Cold's gun shoots a beam of cold, while his buddy Heat Wave has a gun that shoots a blast of incredible heat. Lisa's gun seems to shoot a beam of molten gold, which also transforms whatever it touches into a gold-like substance. The show never explains how the device can transmute matter or why a gun is the best use for that ability. As a weapon, it isn't even a clear improvement over a regular gun. There are two ways to time travel. Either your consciousness goes back and takes over your younger body (think X-Men: Days of Future Past) or your physical body goes back and you run the risk of bumping into your younger self (think Looper). The first time Barry time-travels, he jumps back three days to stop a tsunami. Since he doesn't meet himself, it seems like the first kind of time travel. But for the rest of the show, time travel clearly falls into the second category. 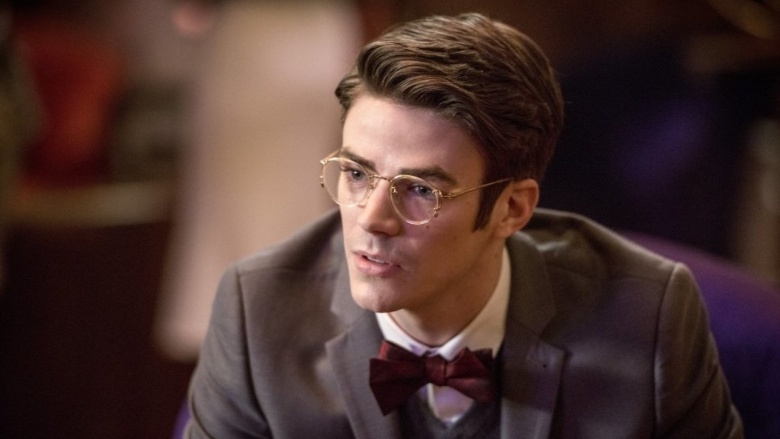 Barry learns to bring past versions of himself into the future as "time remnants," and there are at least three versions of Barry lurking around on the night Nora Allen is murdered. This creates an interesting plot hole. Where was the older version of Barry on that first trip back in time? There should have been two separate Barrys in Central City for those three days. Future-Barry went to most of the same places he originally did, so they couldn't have missed each other. Did something happen to the original timeline's Barry? 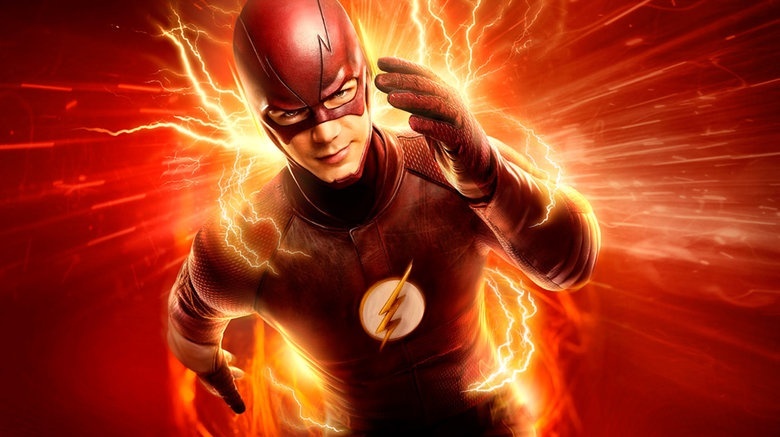 In season two, the nefarious Zoom schemes to steal Barry's super-speed in order to make himself even zoomier. This requires a complicated plot involving kidnapping, blackmail, wormholes, and a gigantic treadmill. Oddly, it's later revealed that Zoom has been holding fellow speedster Jay Garrick prisoner the whole time. Garrick, the Flash of Earth-3, has speed powers rivaling Barry and Zoom. So why didn't Zoom just steal his powers? He was helplessly locked in a special cell, so it would have been much easier than the convoluted Barry plot. Jay's imprisonment raises another interesting question. At the end of season one, the character's classic helmet falls through a wormhole. This alarms Eobard and he quickly tries to leave, implying that Jay and the Reverse-Flash have crossed paths before. But in season two we learn that the helmet belongs to Zoom and the real Jay Garrick only starts wearing it after Zoom has been defeated. 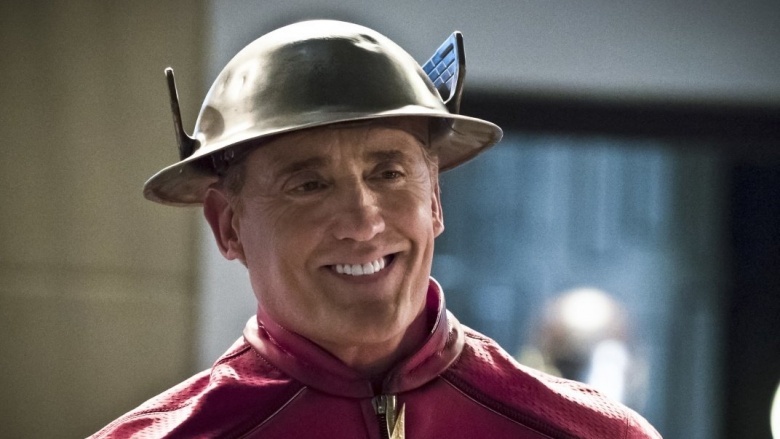 So did Eobard meet Zoom from the past, or Jay Garrick from the future? After Eddie shoots himself, his descendant Eobard immediately fades out of existence. This creates a paradox. 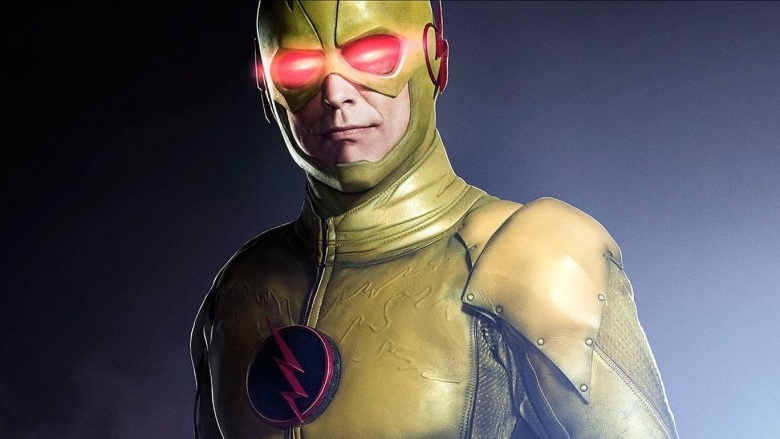 Since Eobard was now never born, all his actions should be erased from history. Barry's mother and the real Harrison Wells should still be alive. 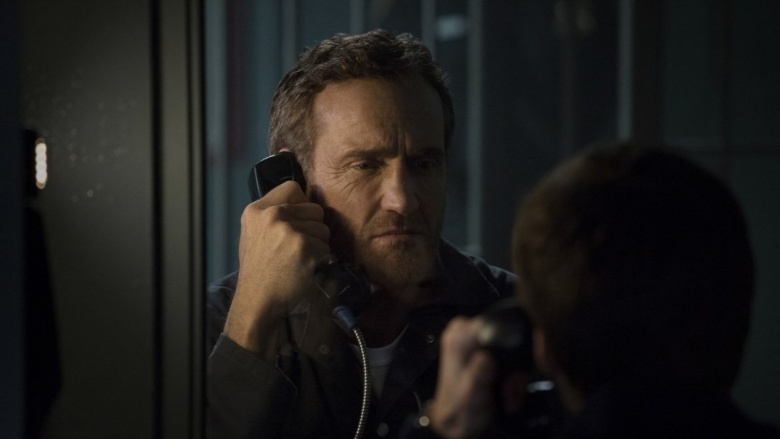 And so should Eddie, since without Eobard, Eddie has no reason to kill himself. But if Eddie doesn't kill himself, then Eobard will be born and come back in time, giving Eddie a reason to kill himself. Time travel is confusing. 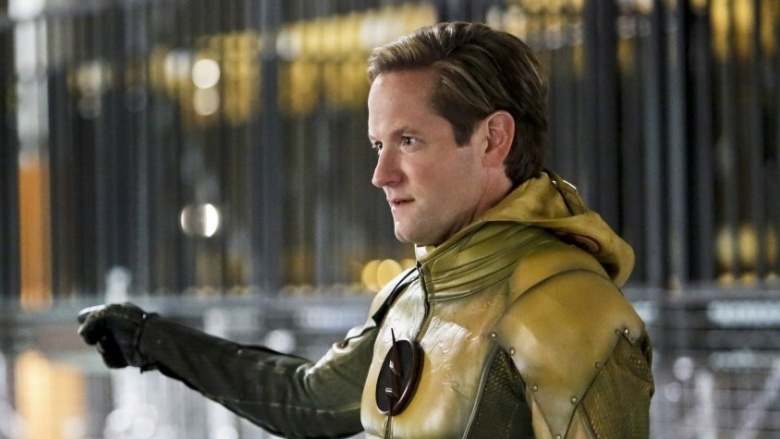 The show tries to solve the problem in the middle of season two by declaring Eobard a "timeline remnant." In other words, the timeline where Eobard was born no longer exists, but the Speed Force is preventing his past actions from being erased because a stable timeline can't exist otherwise. This just creates more plot holes. For starters, Eobard is middle-aged when Eddie shoots himself. Beyond that point, Eobard no longer exists in our universe. But Eobard's past self is still out there traveling through time. Why doesn't he notice that he vanishes from history sometime in his 40s? Or can his past self still interact with his now nonexistent future self? Time travel is confusing, but it doesn't need to be this confusing. 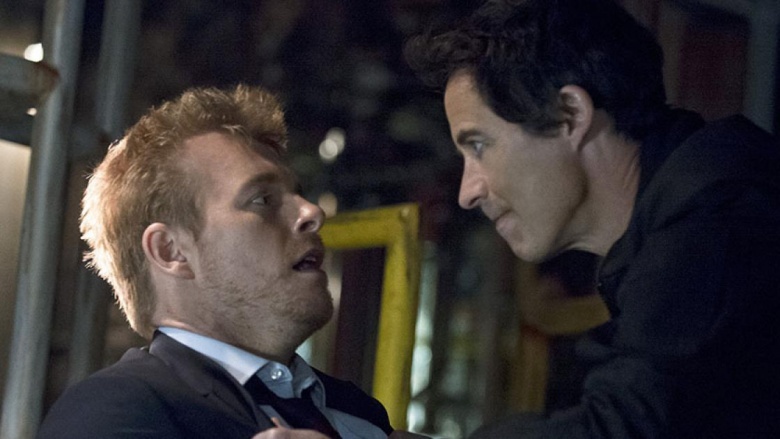 At the end of season one, Barry travels back to the night his mother was murdered, but doesn't save her. At the end of season two, Barry again travels back—and this time he saves his mother. He sees season one Barry, who fades from existence, while season two Barry remains. Except they should both have vanished, since the timeline they grew up in has been erased and replaced by one where Barry grew up with his mom. The case of Eobard established that a speedster's past self can remain in existence if his actions are necessary to create the timeline in the first place (see the previous entry). That's not true of either Barry here. The first Barry just saw his mother survive and therefore isn't actually the Barry who hears her die at the end of season one and decides to save her in season two. And season two Barry has finished changing the timeline by saving his mother. Both should vanish like Eobard did at the end of season one. King Shark is a gigantic, grunting shark-man who somehow repeatedly sneaks up on the heroes. In a show centered around time travel, King Shark's pants are probably the greatest mystery. If you look closely, they appear to be a pair of ripped black dress pants. So are we supposed to assume they're the pants he was wearing when he was transformed into a shark? Because there's no way. The waist alone has to be five feet across. You could fit eight grown men in those pants with no problem. Let's not even get into the leather belt. But what's the alternative here? Did the pants mutate with him? 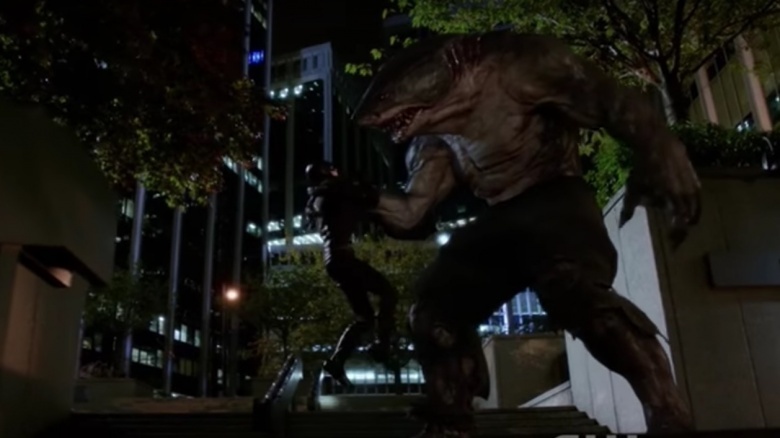 Or did King Shark—who is a cannibalistic feral fish monster—find a tailor and commission custom giant pants? And if that's the case, did they get torn during some shark-related activities, or are the ripped knees actually something of a fashion statement? At what point on the human-shark scale do you stop worrying about protecting your modesty? Season three needs to answer these questions. As a child, Barry is traumatized by his father's wrongful imprisonment, and he spends the next 15 years determined to prove Henry's innocence and secure their reunion. He finally gets his wish in season two, and Henry has an emotional homecoming with his tearful son…then immediately leaves. Seriously, that same day he announces he's getting out of town. He gives some vague reasoning about wanting to start fresh, but it still seems extremely out of character. His son spends his whole life hoping for a reunion and then Henry can't stick around for a couple months of quality time? Even the actual murderer was a more available father figure to Barry. No plot hole appears more consistently in The Flash than Barry's wildly fluctuating power level. In one episode, he spins around and catches a bullet fired at the back of his neck from close range. A few episodes later, a shapeshifter walks up behind him and clunks him around the head with a gun. This knocks him unconscious despite his incredibly tough body (a gorilla later throws him headfirst through a brick wall and he gets up right away). Even after Barry can run fast enough to dodge lightning and phase through solid objects, he still struggles against guys with guns (and one with a bow). Captain Cold and Heat Wave remain two of his key villains even though he should be able to grab their guns before they even see him coming. This is one plot hole that's definitely intentional, but it's still weird to see Barry rupture the time barrier one week and get punched straight in the face the next.